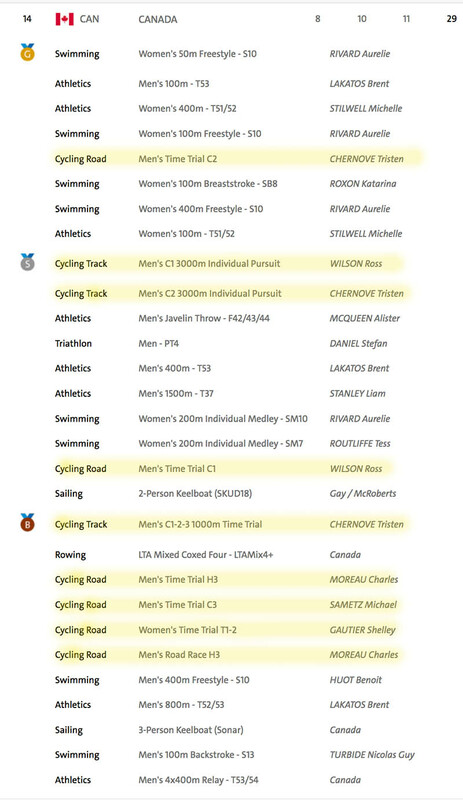 Canada leaves the Paralympic Games with 29 medals, a record, with cycling leading the way at nine medals - one gold, three silver and five bronze, accounting for 31% of the total medal count. Swimming and Athletics were next with eight medals apiece, but more gold medals (four for swimming and three for Athletics. Canada finished 14th overall in the medal count. 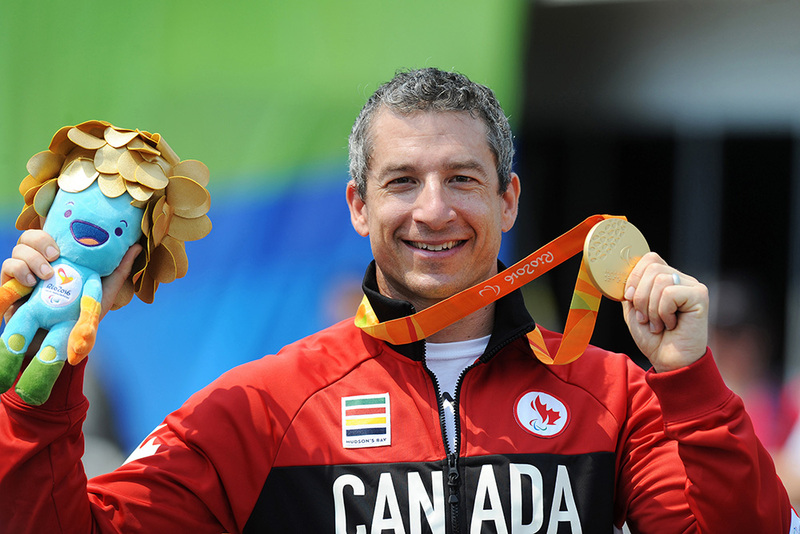 Tristen Chernove led the way, in the Men's C2 category, with three medals, one of each colour - only swimmer Aurelie Rivard won more with four medals (three gold and one silver). Ross Wilson (Men's C1) took two silver medals and Charles Moreau (Men's H2) won two bronze medals. Michael Sametz (Men's C3) and Shelley Gautier (Women's T1-T2 combined) each won a bronze medal.